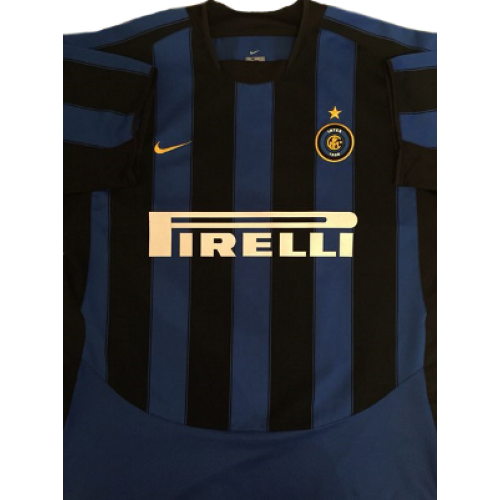 This Inter Milan retro shirt home 2003-2004 with Pirelli sponsore was used of players like: Obafemi Martins, Javier Zanetti, Kily Gonzalez, Adriano and others. 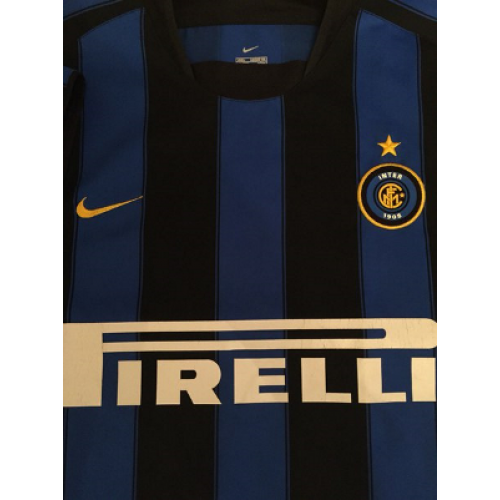 2003–04 season started with a lot of issues: despite the expensive and request signings, Inter got bad results in domestic league (two wins, three draws and a loss in derby) and Héctor Cúper was sacked. 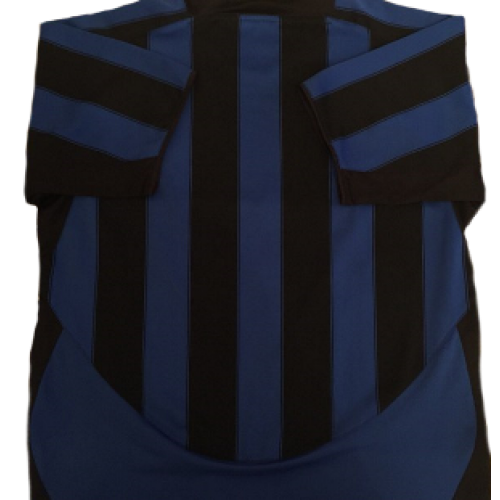 In order to replace him, Alberto Zaccheroni was appointed coach: eventually, Inter came to a bare goal of fourth place. His campaign in Champions League, however, resulted in a failure: it didn't manage to pass his group, after an historical win over Arsenal (0-3 in Highbury). 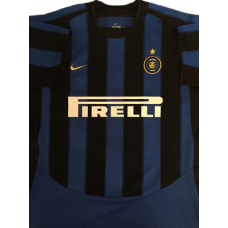 In January 2004, Massimo Moratti decided to leave his position of chairman: former footballer Giacinto Facchetti substited him, retaining the charge until his death (occurred on 4 September 2006).